When every iOS game on the list for your Best Games of 2012 Sale promotion is free, it's no longer a sale — it's a giveaway, and when one of those games is Pony Trails, that's a steal. 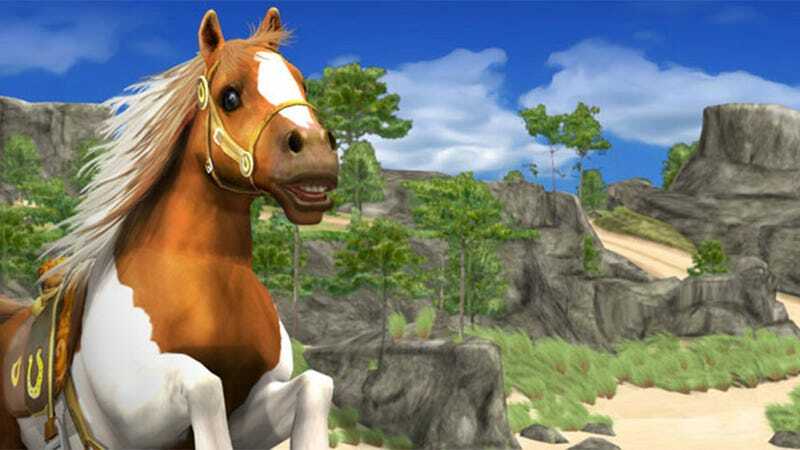 Seriously, if you're into horses or know someone that is, Pony Trails is a nifty little simulator that has absolutely nothing to do with all of that cartoon business. Heck, download it even if you couldn't care less — it's free, along with the Diablo-ish Orc: Vengeance, the stark and lovely Endless Road, at least two Kotaku Gaming Apps of the Day—Sky Hero and Word Derby... why don't I just list them all? We'll do that.